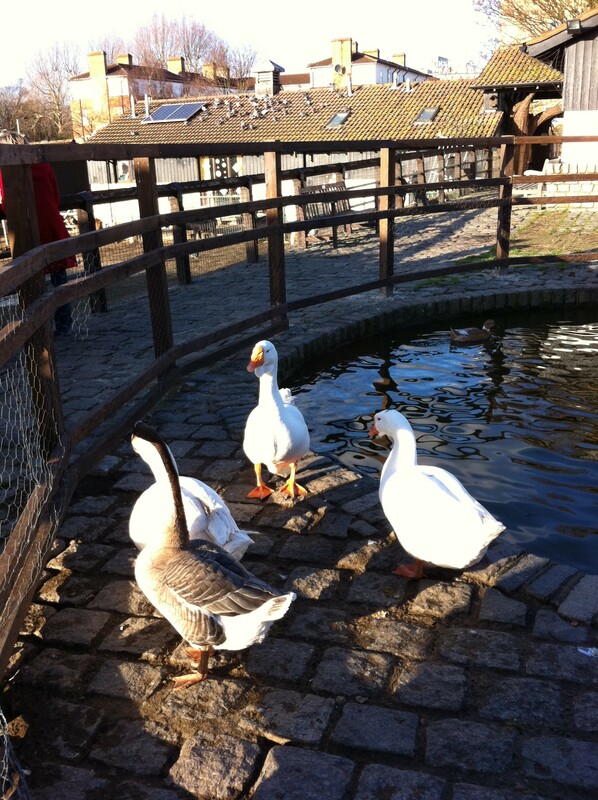 Let your children practise their animal noises as they visit the donkeys, cattle, pigs, sheep, goats, chickens, ducks, geese, turkeys and bees; the farm also sells animal feed for £1 per bag if you want to get closer to the action. Alongside the animals, there are herb and vegetable plots, a dairy and a working forge. If all that tires you out, retreat to Café Frizzante overlooking the farmyard for refreshments. Before you go home, check out the farm produce on offer; you can purchase fresh eggs, as well as meat, honey and plants. Children’s storytelling and craft sessions take place at the farm every Thursday morning (currently advertised until 9 February). A big hit for all the family. Admission to the farm is free. The children’s storytelling sessions cost £4 and must be booked in advance. There are spacious and clean baby changing facilities. Café Frizzante is open Wednesday to Sunday, 10am to 4.30pm (from 9.30am on Saturdays and Sundays). Customers are asked not to take pushchairs into the cafe, but highchairs are available inside, and seating outside if the weather allows it. The café offers a variety of meals and home-made ice cream, alongside the usual hot drinks. Kids meals are also on offer for £4. As a rough guide, tea costs £1, a cappuccino is £2. 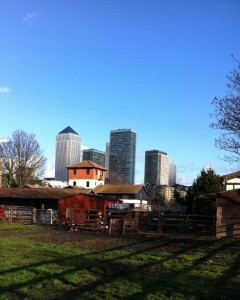 Enter either through the main gate on Rotherhithe Street or from the Thames Path. 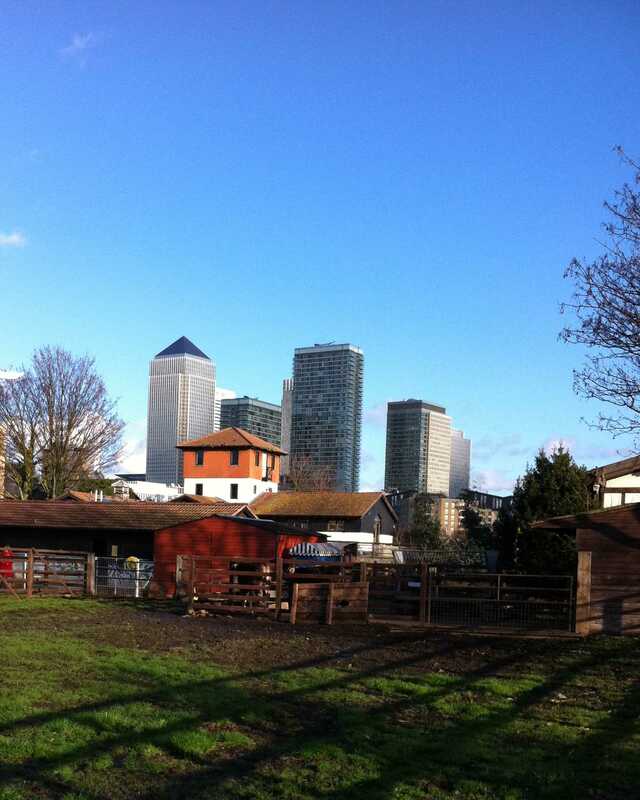 The farm is approximately 10 to 15 minutes’ walk from Surrey Quays station (London Overground). If you’ve got a pushchair you might prefer to use Canada Water station (Jubilee Line, London Overground), which has step free access from the platform to the street. It’s 15 to 20 minutes’ walk to the farm.